5th December 2018 | filed under Aesthetic Treatments, Non-Surgical. Your December may be filled with parties, late nights and very little sleep. Although this is a fun time of the year, it’s not surprising that it can also take a toll on people’s appearance, leaving them regretting saying ‘yes’ to all the invitations once January hits. At the Aesthetic Skin Clinic, we believe you shouldn’t have to sacrifice fun for beauty when you can have both. We’ve put together a survival kit for the festive period, so your skin can still look its best while you enjoy the excesses of the season. To combat the tiredness that is sure to hit your complexion during December, we offer IPL Photo Rejuvenation, a non-invasive procedure that will produce a youthful and fresh glow in the skin. IPL means Intense Pulsed Light and is designed to treat skin damage without disrupting the skin’s surface. Because this treatment only requires minimal downtime, you won’t have to miss a single Christmas party. This procedure can be used on isolated body areas, such as the face, the hands or the décolletage. 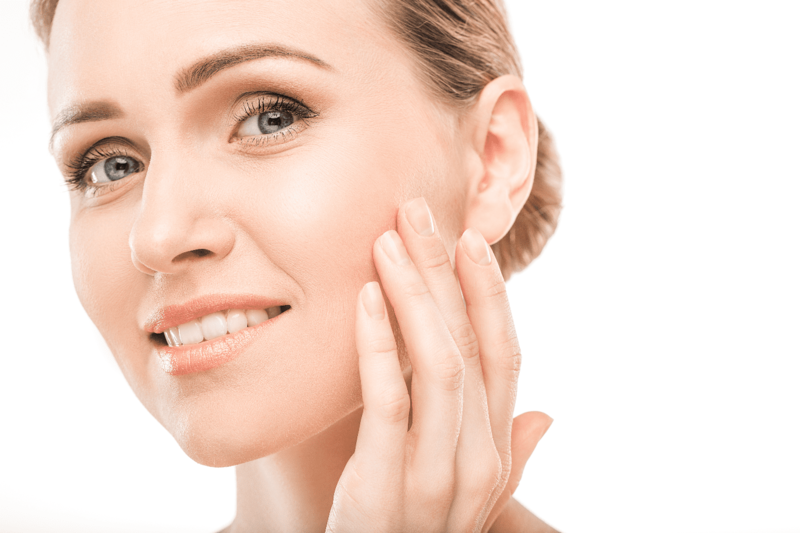 We offer IPL treatment in Belfast, IPL treatment in Guernsey and IPL treatment in Jersey, so if you’re interested in learning more about this procedure, get in touch with us today. Make sure your skin is nurtured, refreshed and glowing ahead of the festivities with our hydrafacial treatment. This non-surgical procedure is beloved by celebrities around the world for how it leaves the skin brighter and more hydrated; it also unclogs pores and removes dead skin and dirt. With this fantastic treatment, your complexion will be cleansed, exfoliated, hydrated and protected against antioxidants – truly the ultimate facial. Your skin will be healthier and remain like that for a long time, allowing you to enjoy your festive plans without worrying about damaging your skin. You’re probably going to be doing a lot of dancing and celebrating during the upcoming holidays, be it at your office Christmas party, your family get-together or your friend’s NYE do. If you’re self-conscious about excessive sweating, or hyperhidrosis, you can now relax – we have just the right treatment for you at The Aesthetic Skin Clinic. Our hyperhidrosis treatment with Botox reduces the amount of sweat secreted in the treated areas by introducing small amounts of Botulinum toxin which blocks the nerves leading to the sweat glands. This means you can just let go and enjoy yourself without the constant worry of having to reapply deodorant, change clothes multiple times or take several showers throughout the day. Our ‘party lift’ is the ultimate party skin tightening facial. Get all the benefits of Ultracel HIFU with its mixture of gentle yet powerful ultrasound technology, which lifts not only the skin but the deep muscle layer underneath as well and the fabulous skin tightening effects of radiofrequency. The result is a no-downtime facelift that achieves the look you’re seeking without having to go under the knife. Ultracel will also stimulate the growth of new collagen over time, so your skin will become stronger and more toned, leading to a rejuvenated complexion that is brighter, tighter and more elastic. Because you can return to your normal activities in less than an hour – and one session is enough to start seeing results – this non-invasive procedure is the perfect choice this Christmas time. The party lift also does wonders for the neck, décolletage and hands, contouring, refining pores and revitalising your dermis. Ultracel truly is the ultimate pre-party treatment, ideal to prepare for the busy (and fun) festive season. Planning the best party of the year, attending all of the festive events you’ve been invited to, worrying about whether you’ve got gifts for everyone or if you forgot someone on your list… The Christmas period is usually a combination of fun and stress, which can definitely take a toll on your skin. You want to prevent as much damage as you can and make sure you’re ready for what’s ahead of you. Our Obagi Blue Radiance skin peel will do wonders for your complexion by exfoliating the superficial layers of skin that have been damaged, be it due to acne scarring, photo damage or melasma. The result is a fresher, revived and radiant complexion that will survive the festive season. Be prepared for everything the festive period will throw at you with our fantastic aesthetic treatments. Once the New Year comes around, we’re confident that your complexion will continue to feel just as refreshed and healthy. Your skin is our priority, so let us know what your goal is this Christmas season and how we can help you achieve it.